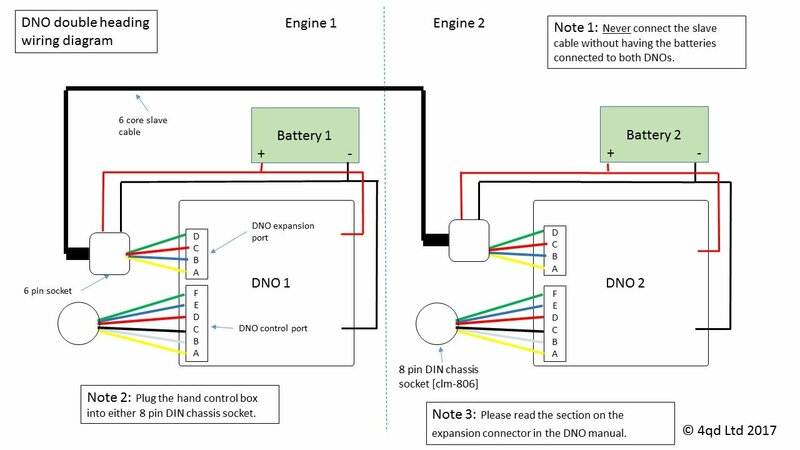 This diagram shows how to connect two DNOs in different model locomotives together using the expansion port. For the slave cable we recommend using a bulgin 6 way plug and socket. Be aware that the batteries will equalise through the slave cable, do not connect the slave cable when there is a significant voltage difference between the batteries. If you do need to connect batteries of different charge states then we recommend running thicker battery connecting wires outside of the slave cable.